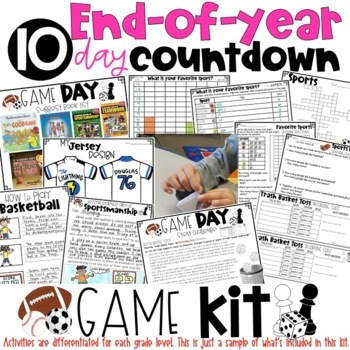 Each day includes lesson plans, activities, and printables for reading, writing, math, science, art, and additional fun activities that will be sure to fill the entire day. 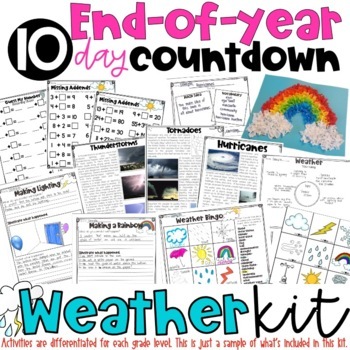 Kits are available for grades 1-2, grades 3-4, and grades 5-6. Each kit is similar, but differentiated to accommodate the skills and standards in the grade levels. Math is specific to each grade level. There are different math activities for first and second grade. 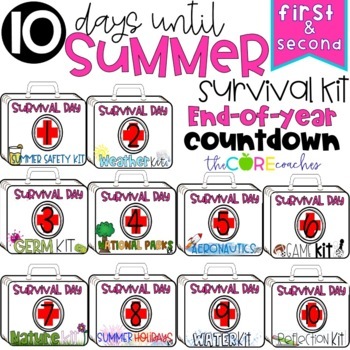 To prepare for the 10 Days Survival Kit you will need some type of container to store each day’s materials. We purchased 10 gift boxes from Amazon and glued the printable suitcase label on each box. You can also use shirt boxes, bags, or bins. The read-aloud books are not included. Check out your local library. Most can be purchased online or in Scholastic’s book club orders. These books are just suggestions. You can also choose your own books that go along with the daily theme. 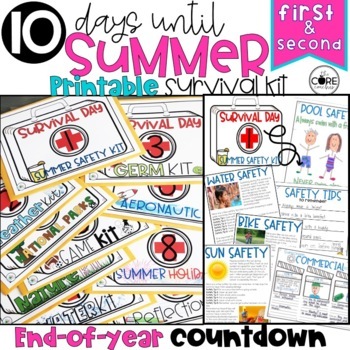 •Science Activity: How Well Does Sunscreen Work?